(As Duas Irenes, Brazil, 2017, 89 min. 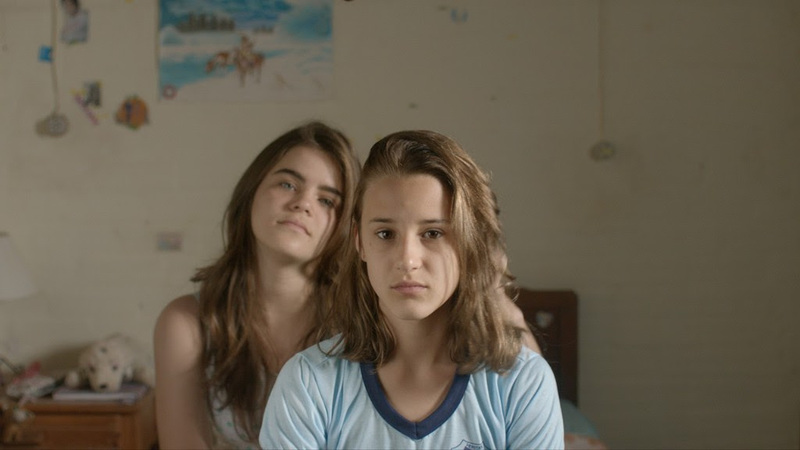 By chance, Brazilian teenager Irene (newcomer Priscila Bittencourt, in an assured performance) discovers that there is another 13-year-old Irene living in the same town. Curiously, she observes the confident, cheerful girl who lives alone with her mother. She is fascinated by this other world beyond the bounds of her own well-to-do and traditional family. This other Irene seems free. Soon the two girls, apparently so different from each other, are spending every day together, meeting up with boys in the cinema or going to the lake. When they start talking about their fathers, they notice that they have more in common than they had thought. Winner of the Best First Feature and Best Cinematography awards at the Guadalajara Film Festival, this debut feature by Fabio Meira is an exquisite mosaic that weaves a wonderfully delicate web around questions of identity, true friendship, and the first steps towards adulthood. Tickets available at the box office the day of the screening only.